Posted December 14, 2018 . 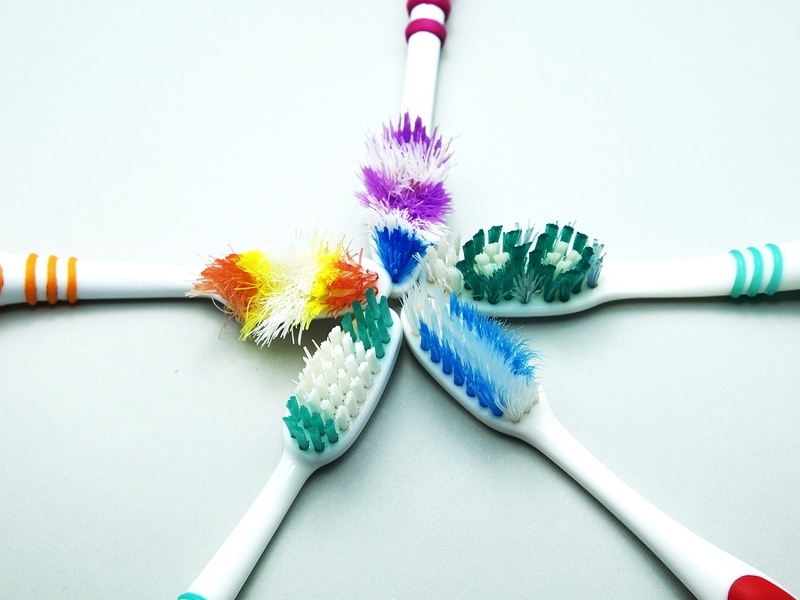 As you stand over your sink and ponder the frayed bristles of your favorite toothbrush, do you consider replacing it? It’s a good question. We all brush our teeth on a daily basis. Like a good pair of jeans, it seems the more we use a toothbrush, the more comfortable it gets. As it turns out, that’s not a good thing when it comes to your oral health in Lake Jackson. The angle of the bristles on your toothbrush is an important part of cleaning. Straight bristles scrub your teeth and flex your gums. A light circular motion is enough to clean your teeth without causing damage. Flat or frayed bristles are less capable and can even cause you to work harder. Furthermore, pressing harder on your teeth can cause damage. Anyone who has worried about changing the oil in their car has learned this basic rule of thumb; change your oil every three months. It’s the same with your toothbrush. Most dental professionals recommend a new toothbrush every three months. Your local dental professionals at Distinctive Dental Services support this recommendation to the benefit of your oral health in Lake Jackson. The American Dental Association suggests replacing your toothbrush every three to four months. The reasons to replace your toothbrush includes worn bristles and bacteria growing on the toothbrush. Bacteria can build up in the small gaps of your toothbrush and may contribute to decay and bad breath. Make sure you keep your toothbrush in a sanitary location. Allow for good drying to help extend its life. Regardless of how long it’s been, if the bristles on your toothbrush look like they’re trying to get away from each other, it’s time. Otherwise, change your toothbrush at the start of every new Texas season to keep it fresh and effective. To learn more about effective oral health in Lake Jackson, call us at 979-297-0337. We can also inform you of advanced dental services you may be interested in such as porcelain veneers, dental implants, and partial dentures. We look forward to hearing from you.